Thomas Discon and his father, John Discon, formed Discon Law Firm over 25 years ago in 1990. Thomas and his father were formerly a part of the Badeaux and Discon Law Firm, which existed for 25 years up and until 1990. Upon his father’s retirement in 2002, Thomas took over Discon Law Firm as the sole Senior Member and has continued to represent Plaintiffs in personal injury litigation ever since. Discon Law Firm primarily handles Maritime claims, such as Jones Act/Seaman cases, but also handles auto/trucking accident claims, Workers’ Compensation claims, Longshore claims and premise liability claims. 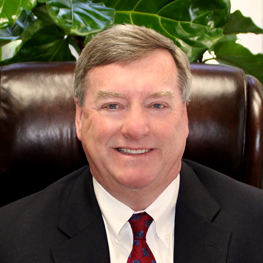 Thomas has tried both jury and bench trials in Louisiana State Courts, as well as Federal Courts across the United States. He has also argued appellate level cases before the U.S. Fifth Circuit Court of Appeals, as well as cases in various appellate courts of Louisiana and the Supreme Court of Louisiana. Thomas Discon was admitted to practice law in 1984. Currently, he is admitted to practice in all Louisiana State Courts, the U.S. District Court Eastern District of Louisiana, the U.S. District Court Middle District of Louisiana, the U.S. District Court Western District of Louisiana, the U.S. Fifth Circuit Court of Appeals, and the U.S. Supreme Court. Thomas Discon has been granted permission to appear before U.S. District Courts in New York, Florida, Texas and Hawaii. You can contact Thomas Discon by calling 985-674-9748 or 1-800-690-6435 for a free consultation, or through e-mail at tdiscon@disconlawfirm.com.